Download and print this miniature teddy bear sewing pattern to create your own tiny string jointed pocket plush fuzzy Kawaii Teddy Bears! These tiny handmade teddy bears are meant to be hand sewn. Although their little fleece bodies can be machine sewn to save time. This digital PDF file includes the teddy bear sewing pattern and instructions with photos to create two different sized bears – the tiny 3.5″ size, or a tad larger 5 inch mini bear! These teddy bear sewing patterns will all come delivered via email as a printable PDF file. These patterns are digital! This means that you can save these files to your computer to print any time you’d like to use this sewing project! Die Cutting machine owners – download the SVG file bundle to cute all felt pieces on your cutting machine! Make piles of adorable pocket plushies whenever you want to! A perfect rainy day project or Easter craft! Adorable Handmade Teddy Bear Plushies! These adorable plush dolls and miniature teddy bears make fine gifts! Stitch up a pile to give to your friends and family. They will make wonderful birthday or even baby shower gifts. Sew in a string for hanging to make holiday ornaments! These cuties are just small enough to stuff into a over-sized plastic Easter egg! Include them in a Easter basket, or in a egg hunt! I really hope you enjoy my patterns! 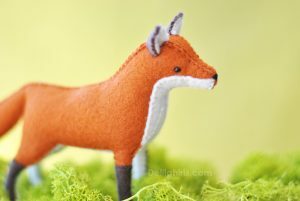 I would love to see all your adorable handmade critters! Email me your pictures, or share on social media at my Instagram or Facebook accounts! Tag #delilahiris on your pics!